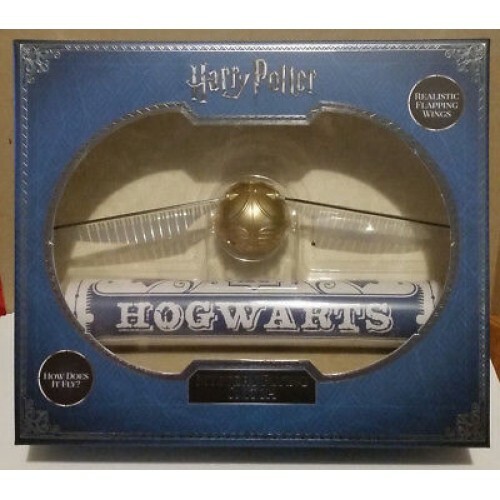 The Mystery Flying Snitch can 'fly' without batteries while still looking totally realistic! 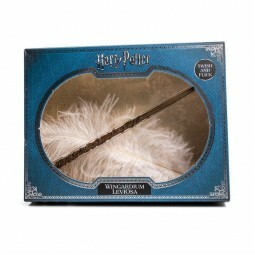 With an ornately decorated surface and wings true to the films, it comes in a collectable Harry Potter box. The secret to the Snitch's flight is a revolutionary Aramid Micro-Filament thread, 5 times stronger than steel of the same thickness, that provides suspension and direction while being nearly invisible to the naked eye from just 3 feet distance. 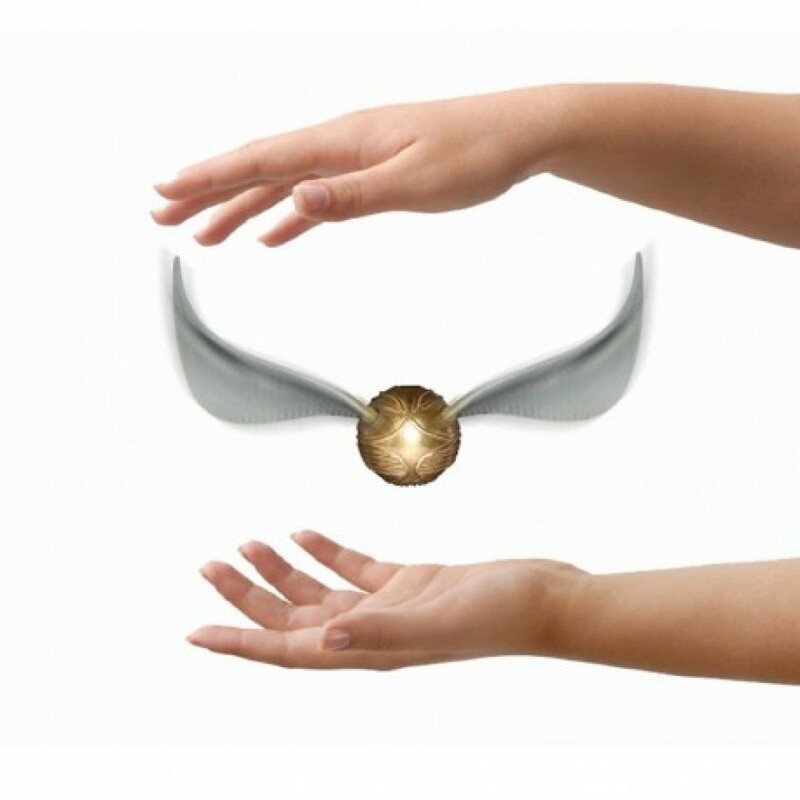 Fast flapping wings replicate the look and sound of a golden snitch in full flight- even more so when it zips around evading capture! 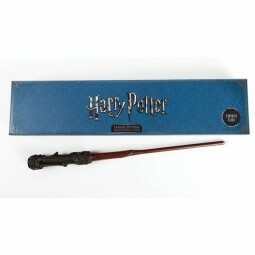 Two batteries are included for motorised movement without the thread. 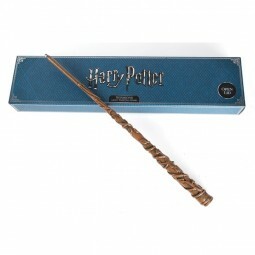 Includes full instructions for use and a link to the website for tips and tricks. A display plinth and a Quidditch poster are also included. Batteries required: 2 x (included) plus . 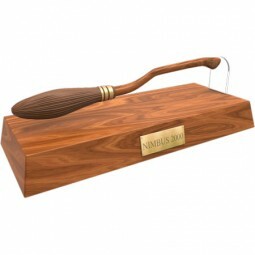 The Nimbus 2000 was produced by the Nimbus Racing Broom Company as part of their successful line of ..
Official merchandise - Harry Potter and Fantastic Beasts authorized and licensed by Warner Bros.Lift..